Now that summer is over, and the children are back in school most of us are getting back to our normal routine. For many, this includes losing the weight we gained over the summer. Many of us enjoyed vacations, parties, celebrations and barbecues and subsequently gained weight. If you are looking to lose weight and would like more information on our weight loss program just call us at 215-821-7336 and schedule your free weight was consultation. Our Philadelphia weight loss program includes a consultation with the doctor, weight loss pills – appetite suppressant medications, vitamin B12 injection therapy and of course proper instruction in a diet and exercise plan. We will give you meal plans in addition to updating this website with recipes that taste good and will help you reach your weight loss goals. We also will review trending topics in health, wellness, nutrition and of course weight loss. One of the most popular recent topics in weight loss is the ketogenic diet. And that is why our most recent articles have been about the ketogenic diet. In our medical alert loss program, we use different diet plans for different people. Many people are fine following a diet plan that includes a little bit of everything while others may need the to follow a plan that is a bit more specific. I am a perfect example of this because I am diabetic and there are certain foods that I should definitely avoid because they will spike my blood sugar levels way too high. So, whatever your specific needs are we will develop a plan specifically for you. In today’s article we are going to give you two great recipes to help you lose weight with our weight loss program. Today’s recipes are for a Blueberry Ketosis Smoothie and a Chocolate Banana Cheesecake. These recipes are great if you are following a low carbohydrate diet. I have coconut oil as an ingredient in this recipe but if you do not like the taste of coconut oil you can use refined coconut oil that does not have the coconut taste. This recipe has 2 parts, one for the cake / base and one for the topping. Add the cake mixture to a cupcake tray. Use a spoon and fill the cupcake tray with the cheesecake mixture. Make sure to leave room for the topping, so do not fill the cheesecake batter to the top. Next, place this in the refrigerator for about 15 minutes. Then take your tray out of the refrigerator and top the cakes with the chocolate topping. Finally place the tray into the refrigerator and leave it until it sets nice and firm. I usually like to leave mine in refrigerator overnight. I hope you enjoy these recipes. If you would like help losing weight I invite you to call us and schedule your free weight loss consultation. Just call us at 215-821-7336 and we will gladly schedule your free weight loss consultation. This entry was posted in diet doctors, Diet Doctors in Bucks County, Diet Doctors in Philadelphia, Medical Weight Loss, Medical Weight Loss in Philadelphia PA, Medical Weight Loss Philadelphia, Philadelphia Weight Loss Doctor, Philadelphia Weight Loss Doctors, Weight Loss, weight loss philadelphia and tagged "Philadelphia Diet Doctor", "Weight Loss Doctors in Philadelphia", doctors prescribe phentermine Philadelphia, medical weight loss in philadelphia, Medical Weight Loss Philadelphia, philadelphia weight losss doctors, weight loss philadelphia, weight loss pills philadelphia, weight loss programs Philadelphia on September 9, 2018 by Dr. Michael Kenny. If this is your first time visiting our website I invite you to call and schedule your free weight loss consultation. 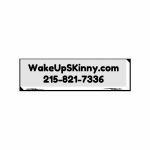 Just call 215-821-7336 and Lisa would gladly schedule your weight loss consultation. In today’s article I am giving you two really great recipes for 2 awesome treats. Both recipes are low in carbohydrates and low in sugar and are suitable for a low carbohydrate or ketosis type diet. I am also going to review four of the most common mistakes that I see people making when it comes to a low carbohydrate or ketosis type diet. In this blog I always like to provide recipes and discuss trending Health topics. I am reviewing the mistakes in doing the ketosis diet today because it is a hot topic in the weight loss and fitness world and also many new patients coming into our office are trying to follow a ketosis diet. And these other mistakes that I see most people coming into her office doing. So I hope you enjoy these recipes and I hope you enjoy the information on ketosis. Take a microwave safe bowl and add your butter to it and then melt the butter in your microwave. This should take approximately 30 seconds. Then add the egg to the bowl and whisk the egg and butter. After that just add all of the other ingredients and mix them thoroughly together. Place the bowl in the microwave for about 60 seconds or so. You may prefer cooking the cake a little bit longer. Just make sure that the egg is totally cooked. When it is cooked the way you like it, let it cool down and then enjoy. You can top this with some sugar free whipped cream. You can make your own whipped cream just by taking heavy cream and use a hand mixer to mix it until stiff peaks form, You can use stevia to sweeten the whipped cream. To make a totally decadent treat you may top this with berries. One of the most common mistakes that I see with people doing a ketosis diet is that they’re eating too much protein. When you eat too much protein that can also increase the amount of insulin that is produced by your body and this will put you into fat storing mode instead of fat burning mode. Everyone thinks that on the ketosis diet you can eat as much protein as you want but that is totally wrong. Most people need approximately 3 to 6 ounces of protein per meal. If you are 20 years old or younger and your metabolism is higher you can probably eat more protein. And if you are doing heavy weight lifting you may want to consume more protein.But for most of us 3 to 6 ounces of protein per meal is sufficient. The second most common mistake that I see on the ketosis diet is that people stop eating vegetables. Vegetables are a necessary part of your body because they provide you with a multitude of vitamins and minerals especially potassium. Potassium is necessary it is an important electrolyte that helps regulate the muscles of the body and it also helps flush fat out of your body. Mistake #3 is that people are actually eating too many carbohydrates. You have to be careful for the sugar in foods such as fruit, vitamin water, rice, pasta and bread. You have to be especially careful reading the ingredients of all the beverages that you are drinking. Many of the drinks that people are consuming are loaded with sugar and this will definitely keep you out of ketosis and cause you to gain weight. But don’t worry about counting the carbohydrates in your vegetables because when it comes to vegetables you can eat as many as you want. If you can keep a food log and track the amount of carbohydrates you or eating throughout the day you may be surprised how many carbohydrates you are truly eating. That’s why I usually recommend that people keep a food journal or diary. And after the first month or so you usually developed good healthy habits and automatically choose the right type of foods and the proper portion sizes. Mistake #4 is that you can be too concerned with your body weight. Often times when following a ketosis diet your body is losing weight but developing muscle at the same time. So I usually recommend that people pay more attention to their physique, to their waist measurement and how their clothing is fitting. Many times a person may not be losing that much weight on the scale but they are rapidly dropping dress sizes. I hope that you enjoy these recipes and I certainly hope that you enjoyed this information on the common pitfalls of the ketosis diet. If you, a friend, coworker or loved one would like help losing weight, I invite you to call and schedule your free weight loss consultation. Just call 215-821-7336 and Lisa will schedule your free weight loss consultation. This entry was posted in diet doctors, Diet Doctors in Bucks County, Diet Doctors in Philadelphia, Medical Weight Loss, Medical Weight Loss in Philadelphia PA, Medical Weight Loss Philadelphia, Philadelphia Weight Loss Doctor, Philadelphia Weight Loss Doctors, weight loss philadelphia and tagged "Medical Weight Loss clinic Philadelphia", "Philadelphia Diet Doctor", "Weight Loss Doctors in Philadelphia", medical weight loss in philadelphia on August 28, 2018 by Dr. Michael Kenny. If this is your first time visiting our website I invite you call and schedule your free weight loss consultation. Just call us now at 215-821-7336 and Lisa will gladly schedule your free weight loss consultation. Today we are giving you 5 great smoothie recipes to help you lose weight and improve your overall health and wellness. I would like to thank all of our patients for referring their family and friends to us. We deeply appreciate that you trust us with your personal and health and wellness as well as the health and wellness of your loved ones.I also want to congratulate all of our patients that have been coming in during these hot summer days and have continued to lose weight, even while going on vacation and spending time at the beach. I want to give all of you a big thank you and tell you that we really do appreciate you. If you, a friend, loved on or coworker need help losing weight call us and schedule your free weight loss consultation. Call us at 215-821-7336 and schedule your free consult now. This entry was posted in diet doctors, Diet Doctors in Bucks County, Diet Doctors in Philadelphia, Medical Weight Loss, Medical Weight Loss in Philadelphia PA, Medical Weight Loss Philadelphia, Philadelphia Weight Loss Doctor, Philadelphia Weight Loss Doctors, Weight Loss, weight loss philadelphia and tagged "Philadelphia Diet Doctor", medical weight loss, medical weight loss in philadelphia, Philadelphia diet program, Philadelphia Doctor supervised weight loss program, Philadelphia doctors that prescribe phentermine, Philadelphia medically supervised prescription weight loss program, philadelphia phentermine doctors, philadelphia weight loss clinic, philadelphia weight loss doctor, philadelphia weight loss program, weight loss doctor in philadelphia on August 4, 2018 by Dr. Michael Kenny. Today we are posting 7 delicious smoothie recipes to help curb your appetite and help you lose weight. For more information on our weight loss program call Lisa and schedule a free weight loss consultation, call 215-821-7336 and schedule your free weight loss consultation now. These smoothies are low in carbohydrates and sugar and have healthy nutrients to nourish the body. Combined with our medical weight loss program these smoothies should help eliminate your appetite and help you lose weight. Recipes like these are also good for promoting better overall health and wellness. We hope you enjoy these recipes. If you and friend, loved one or co-worker need help losing weight call us and schedule your free weight loss consultation. Call 215-821-7336 and schedule your free consultation now. This entry was posted in Diet Doctors in Bucks County, Medical Weight Loss, Medical Weight Loss in Philadelphia PA, Medical Weight Loss Philadelphia, Philadelphia Weight Loss Doctor, Philadelphia Weight Loss Doctors, Weight Loss, weight loss philadelphia and tagged "Medical Weight Loss clinic Philadelphia", "Philadelphia Diet Doctor", medical weight loss, medical weight loss in philadelphia, Medical Weight Loss Philadelphia, Philadelphia diet program, Philadelphia Doctor supervised weight loss program, Philadelphia doctors that prescribe phentermine, Philadelphia medically supervised prescription weight loss program, philadelphia phentermine doctors, philadelphia weight loss clinic, philadelphia weight loss doctor, philadelphia weight loss program, weight loss doctor in philadelphia on July 29, 2018 by Dr. Michael Kenny. How would you like to reduce your chances of suffering from heart attack, diabetes, stroke, certain cancers in a multitude of other diseases? If this peaks your interest, read the rest of this article. Let me take a moment and invite you to call for your free weight loss consultation if this is your first time visiting our website. Just call Lisa at 215-821-7336 and she will gladly schedule you for free weight loss consultation. Whether we like it or not your waist measurement, amount of belly fat has a direct correlation with our overall health. Report after report has told us that being overweight/obese can cause a multitude of health issue such as: heart attack, stroke, hypertension, diabetes, nonalcoholic fatty liver disease, high cholesterol, high triglycerides, heart disease and diabetes. And now studies tell us that having a big belly, a waist circumference of 37 inches or more for men and for women 31.5 inches can increase the risk of developing breast cancer, prostate cancer, colorectal cancer and many other types of cancer. It gets even worse because you increase your risk of developing certain types of cancer by as much as 5% for every inch your waist as above these measurements. One of the reasons for this is that your belly fat produces certain type of chemicals – hormones. These hormones increase the inflammatory process in the body and as inflammation increases in the body so those the chance of developing various cancers. If your belly is protruding or hanging a bit over your pants waistline you definitely need to take this seriously and start taking the necessary steps to reduce your waist size. Many people think that all they have to do is count calories and they should automatically start losing weight. What they may forget is that calories do matter thought just as important is the types of food that you are eating. If you are counting calories and decide to eat a candy bar that has 100 calories you have to realize that those 100 calories from a candy bar are not the same as 100 calories from carrots, broccoli or spinach. Each food is processed or metabolized differently by the body. Meaning that the candy bar after being metabolized by the body turns into nothing but pure sugar. As compared to spinach when processed by the body is turned into nutrients that the body needs to be healthy and to function at peak capacity. That’s why in our weight loss program we emphasize eating foods that will provide our bodies with great nutrition so that we may lose weight but also hopefully improve our overall health and wellness and enhance the ability of our body to function at optimal capacity. So yes the weight loss medications do a great job of reducing her appetite and cravings and this should allow us to make the proper food choices. And that’s why we believe our weight loss program is so successful. It’s the powerful combination of FDA approved weight loss medications, healthy nutritional recommendations and physical activity that has helped our patients lose weight. We do our best to educate our patients on proper healthy nutrition. And every week we like to update this website with recipes and articles on health and wellness. Combine everything into your blender or juicing machine and enjoy. Combine everything into your blender or juicing machined and enjoy. 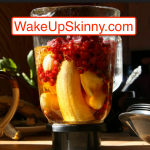 Process all of the above ingredients in your blender or juicing machine and enjoy. Process all of the above ingredients in your blender and enjoy. I hope you enjoy the smoothie recipes. If you do like them and if you have any recipes that you would like to share with everyone please let me know the next time you’re in the office and with your permission I will gladly post them online. If you or someone you know or love need help losing weight and improving overall health and wellness I invite you to call and schedule your free weight loss consultation. Just call us at 215-821-7336 and Lisa will happily schedule your free weight loss consultation. Looking for a Philadelphia Weight Loss Doctor call us now at 215-821-7336 and schedule your consultation. This entry was posted in diet doctors, Diet Doctors in Bucks County, Diet Doctors in Philadelphia, Medical Weight Loss, Medical Weight Loss in Philadelphia PA, Medical Weight Loss Philadelphia, Philadelphia Weight Loss Doctor, Philadelphia Weight Loss Doctors, Weight Loss, weight loss philadelphia and tagged "Medical Weight Loss clinic Philadelphia", "Philadelphia Diet Doctor", Medical Weight Loss Philadelphia, philadelphia medicaly supervised prescription weight loss program, philadelphia weight loss doctor, philadelphia weight loss programs, weight loss diet doctor in philadelphia, weight loss in philadelphoa on July 22, 2018 by Dr. Michael Kenny. Welcome to our website. Today we have 4 awesome smoothie recipes for you. If this is your first time visiting our site for more information on our Philadelphia and Bucks County weight loss programs call and schedule your free consultation. Call 215-821-7336 and Lisa will gladly schedule your free weight loss consultation. This has been a great week in our practice. People are losing weight and hitting their weight loss target and transitioning into our Maintenance Program. We also are seeing many people decreasing and improving their high blood pressure and patients who are diabetic are seeing lower blood sugar levels. It’s amazing how losing weight can help improve your overall health. Losing weight is great because it helps your physical appearance but more importantly it can help improve your health. It’s also nice to chat with patients and hearing how they are changing the way their entire family eats. Today Liz told me how her husband has lost weight just by following our diet plan. She is trying to get him to walk with her and once he starts I am sure he will lose even more weight. It really gets me excites to share in everyone’s success. Place in a blender, blend and enjoy! I hope you enjoy these recipes. For more health and wellness tips please come back to our site next week. If you, a friend, co-worker, partner or loved one need help losing weight call and schedule your free consultation. Call us now at 215-821-7336 and let us schedule your free consultation. This entry was posted in diet doctors, Diet Doctors in Bucks County, Diet Doctors in Philadelphia, Medical Weight Loss, Medical Weight Loss in Philadelphia PA, Medical Weight Loss Philadelphia, Philadelphia Weight Loss Doctor, Philadelphia Weight Loss Doctors, Weight Loss, weight loss philadelphia and tagged "Medical Weight Loss clinic Philadelphia", "Philadelphia Diet Doctor", Appetite Suppressants, doctors prescribe phentermine Philadelphia, philadelphia weight loss doctor, Weight Loss Clinic, weight loss philadelphia, weight loss pills philadelphia, weight loss programs Philadelphia on July 14, 2018 by Dr. Michael Kenny. Hello and welcome to our website. 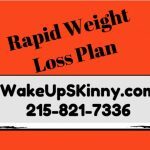 If this is your first time visiting our site and you are looking for more information on our Philadelphia medical weight loss program I invite you to call and schedule a free weight loss consultation. Just call us at 215-821-7336 and Lisa will gladly schedule you for your free weight loss consultation. Today I will be giving you 7 smoothie recipes to help you achieve your target body weight. One of my mentors always emphasized that adding one smoothie made of vegetables and one or two pieces of fruit is a great way to help reduce your daily caloric intake and provide your body with an abundance of healthy nutrients. I also want to congratulate those of you who have been following our weight loss program and you are safely and steadily losing weight. I applaud all of you for sticking to your goals and achieving weight loss. Losing weight and keeping a trimmer waistline is beneficial for improving your overall health and wellness, preventing diseases and of course it helps you look good and feel good. So many people come into our program wanting to lose weight to improve their physical appearance. But what they do not realize is that for most of us the whole process of losing weight begins with getting healthy. And we help you with this by giving you a safe and healthy nutrition diet weight loss plan. Numerous studies have shown that being overweight/obese leads to a multitude of illnesses and diseases. Being overweight can lead to everything from diabetes, strokes, heart attacks and even cancer. That’s why the medical associations have banded together and are emphatically recommending that doctors focus on treating obesity. And this can be achieved by focusing on a safe nutritional weight loss plan and adding some type of physical exercise. The weight loss medications help control your appetite and this should help you make the correct food choices and make it easier to follow the diet plan. The physical exercise can be something as simple as walking and in fact most of our patients started their weight loss journey by focusing on nutrition plan first and doing some easy walking. As the weight loss continued and their health and wellness improved they just added more time to their walks. Insanity type workouts are not needed if your goal is to lose weight. It is important that whatever activity you choose as your exercise is something that you joy doing. It should be something that you easily add to your lifestyle. Combine everything in a blender, blend and enjoy. Combine everything in your blender, blend and enjoy. I hope that you enjoy these recipes and make them part of your nutrition weight loss plan. Of course, you can replace any of the fruit and any of the vegetables with foods that you may prefer. If you need some protein you can always add one of our Solutions 4 protein powders to the smoothie. If you, a friend, a loved one and/or coworker need help losing weight I invite all of you to call and schedule your free weight loss consultations. Just call 215-821-7336 and Lisa will be glad to schedule your free consultation. Thank you for reading this article and have a wonderful day. This entry was posted in Diet Doctors in Bucks County, Diet Doctors in Philadelphia, Medical Weight Loss, Medical Weight Loss in Philadelphia PA, Medical Weight Loss Philadelphia, Philadelphia Weight Loss Doctor, Philadelphia Weight Loss Doctors, Weight Loss, weight loss philadelphia and tagged "Philadelphia Diet Doctor", Medical Weight Loss Philadelphia, philadelphia weight loss doctor, weight loss doctor in philadelphia, weight loss in philadelphia on July 7, 2018 by Dr. Michael Kenny.